Our steaks are hand selected, hand cut, dry-aged, and frozen to preserve the premium flavor. 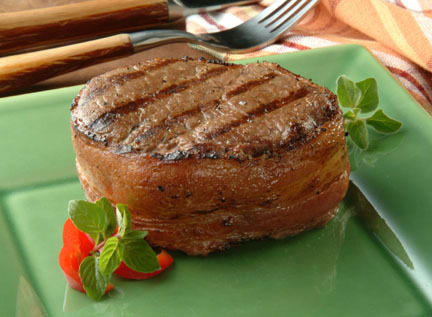 America’s Best Steaks are dry-aged which provides you with a gourmet taste and tenderness treat. 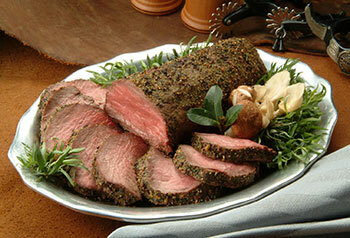 Allow 24 hours for your steaks to slowly thaw in the refrigerator. Always leave vacuum wrap on the steaks during the thawing process. This method will preserve the flavor and natural juices. If you’re needing the steaks a little sooner, the next best safe method is using a cold water thaw. Place your steaks (still in the wrapper) in the cold water for one to two hours and allow them to thaw in the cold water. While we do not recommend this method in preserving the dry-aged flavor to its best level, it is safe and fast method if you’re in a rush. But please do not attempt thawing your America’s Best Steaks by using the defrost, or any other setting, on your microwave. This will cause your steaks to become rubbery, tough, and essentially tasteless. The best thawing results will occur if you remove your steaks from the gift box and place on a tray, single layer in the refrigerator.